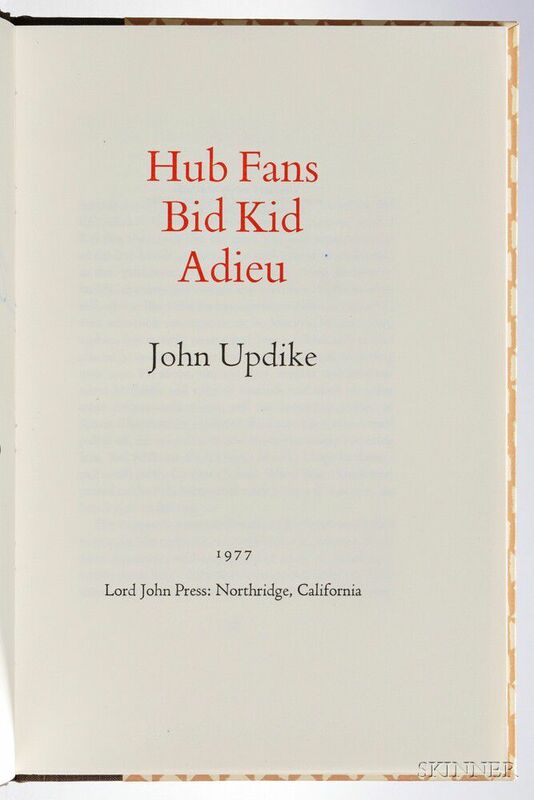 Updike, John (1932-2009) Hub Fans Bid Kid Adieu, Signed by John Updike and Ted Williams. 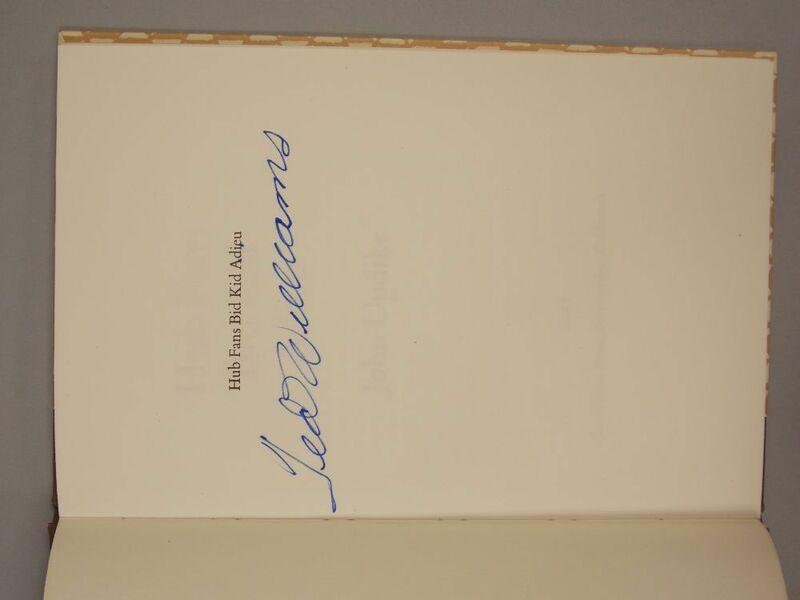 Updike, John (1932-2009) Hub Fans Bid Kid Adieu, Signed by John Updike and Ted Williams. 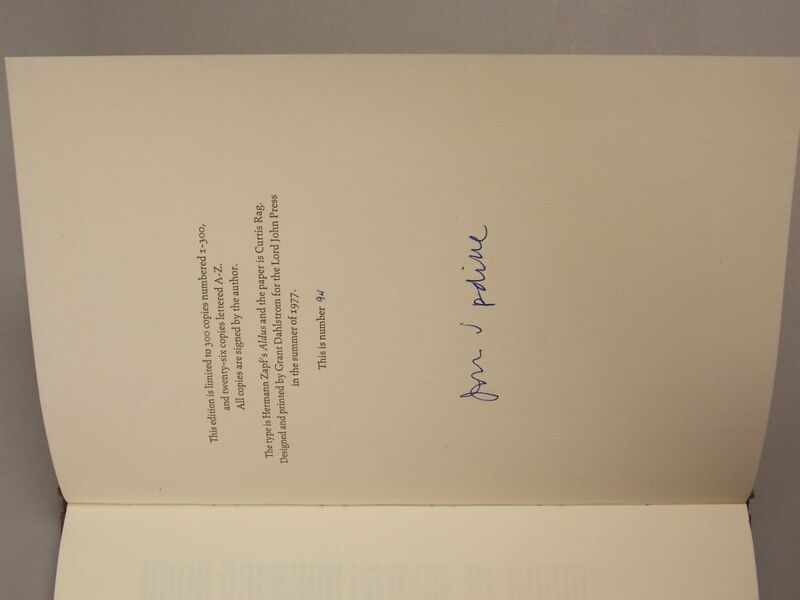 Updike, John (1932-2009) Hub Fans Bid Kid Adieu, Signed by John Updike and Ted Williams. Northridge, California: Lord John Press, 1977. Limited edition, copy number ninety-four of 300, in publisher's half cloth, patterned paper boards, 10 x 6 1/2 in.